Restoration firms need specify and verify that the contractors working for them purchase insurance coverage that actually works to insure the firm for the work to be conducted. You should ask for CPL coverage for subcontractors because it fills coverage gaps created by common exclusions in GL policies. CPL is not just for mold remediators. 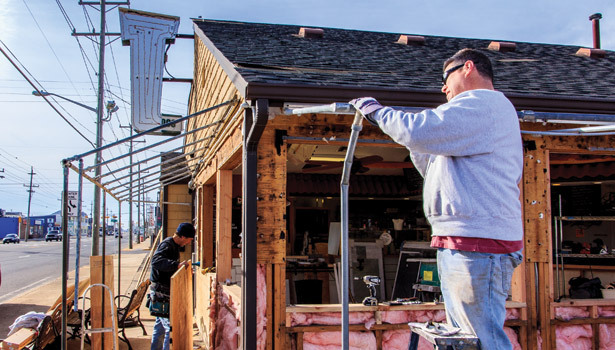 Hiring subcontractors in the restoration business is a way of life. Very few owners of restoration firms appreciate how risky subcontractors can be or how easily this risk can be reduced. As I look back on 10 years worth of loss records on the restoration firms we insure, more than 90% of the reported claims involve a subcontractor. The really bad losses involved a “pollutant.” In those situations, it is very common for our client to have a lot better insurance coverage in place than the subcontractors they hire. Guess who’s insurance ends up footing the bill? If you ignore the risk issues inherent in the work performed by subcontractors, your restoration firm as the general contractor on the job will end up paying for all of the losses on a job. It does not need to be this way. By implementing just a few simple risk man inherent strategies that you can actually copy from others who are good at it, you can shift the subcontractor risk away from your firm and your insurance loss records. 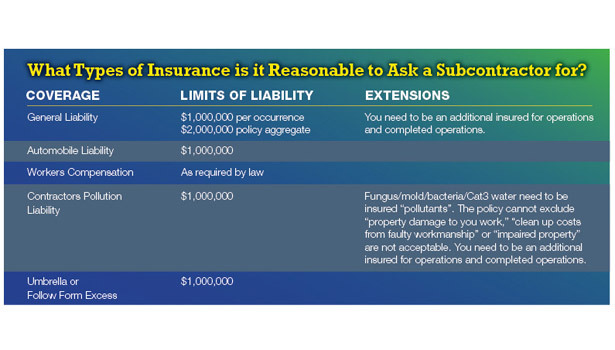 If you want to see a real live example of good risk management of subcontractors in practice, just look at the contractor selection and insurance requirements used by the restoration networks. Go to their websites and loss records on insurance to become part of their network.